There is actually a rather wide range of applications and cosmetic procedures at Randall B. Weil MD, FACS that involve dermal fillers. The Food and Drug Administration has approved to use of dermal fillers to help plump and add volume to the face and other parts of the body. Using dermal fillers in these areas can help to remove wrinkles, smooth skin texture or reduce the presence of deep lines. One of the most common types of dermal filler is Hyaluronic Acid. At Randall B. Weil MD, FACS we can use dermal fillers to reduce the appearance skin aging and hand aging. Dermal fillers can also help to fill wrinkles and lines on the face, cheek and chin. Some patients also like the use of dermal fillers for lip augmentation, eye filler for sallow skin under the eyes and they can even be used in some non-surgical nose job procedures. 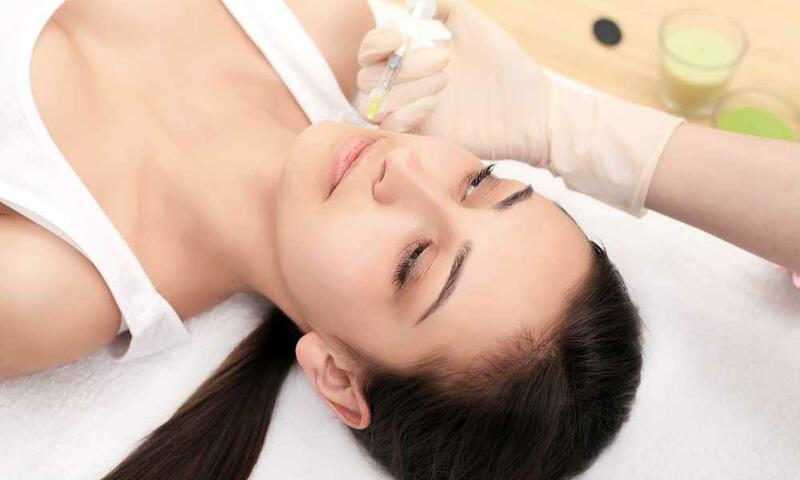 A dermal filler injection at Randall B. Weil MD, FACS can be performed in just a few minutes and is almost always done as an outpatient procedure. How long the dermal filler lasts will vary depending on a number of factors, including the location, the amount of filler required as well as lifestyle and health choices you make. If you are thinking about dermal fillers or you are interested in a procedure that calls for a dermal filler injection, please feel free to call Randall B. Weil MD, FACS to schedule an appointment. We look forward to helping you find the right products and procedures to restore your youthful appearance!